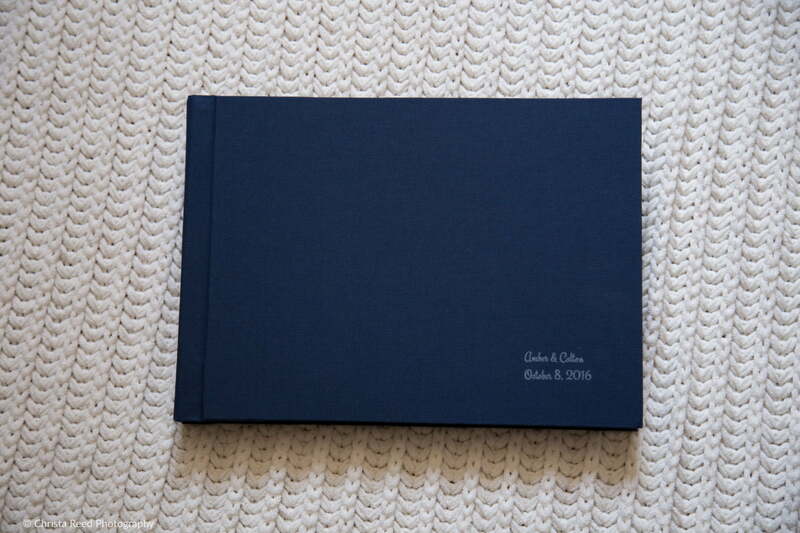 This beautiful navy blue linen album from Amber + Colton’s wedding was a reorder for their parents. 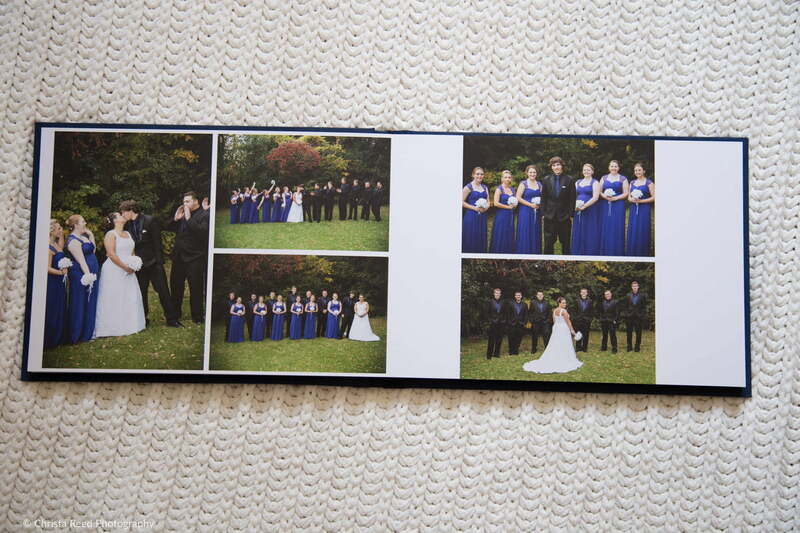 It’s another panoramic wedding album with 40 extra thick pages and just over 100 pictures. The navy is one of my favorite seasonal linen colors that’s usually available only in the fall. It matched their wedding colors perfectly and looks very elegant. 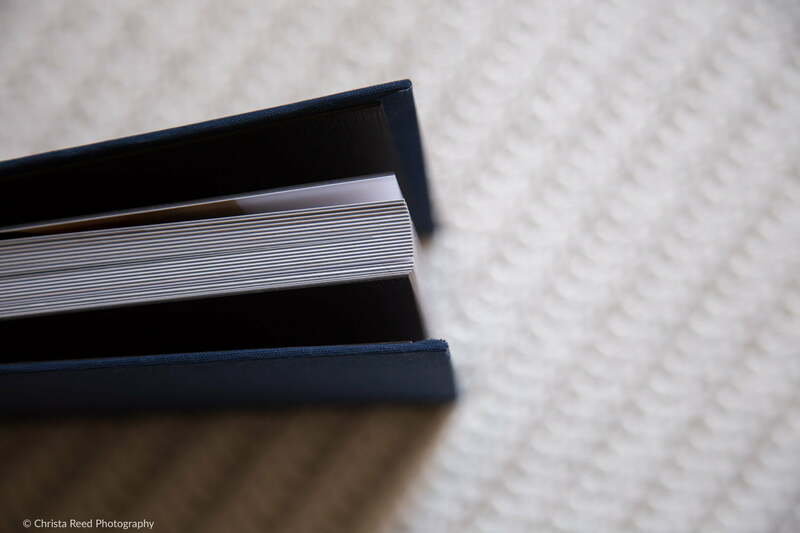 Designing these album is one of the best parts of being a wedding photographer! I love the freedom the panoramic size gives me for collages on each spread. 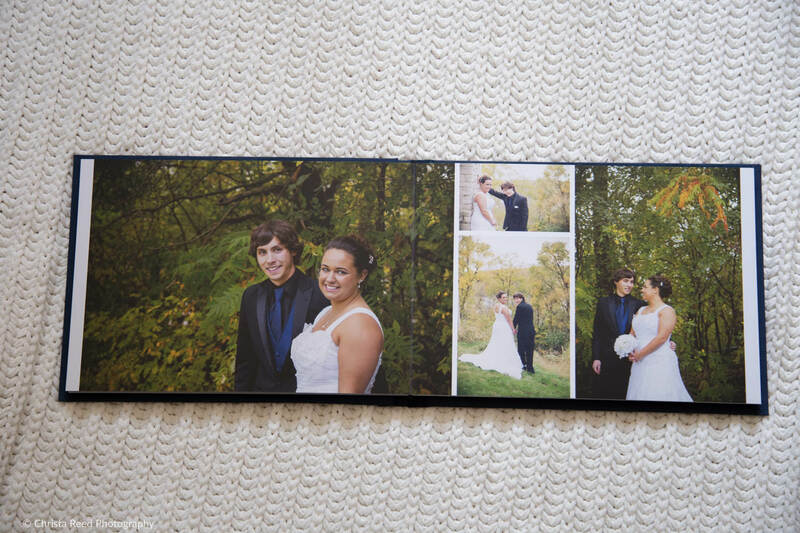 I can fit multiple pictures on each page and they’re still large enough to see everyone’s joyful wedding day faces! I am a Minnesota Wedding Photographer traveling through out the Twin Cities and the state, including Chaska and Chanhassen weddings. 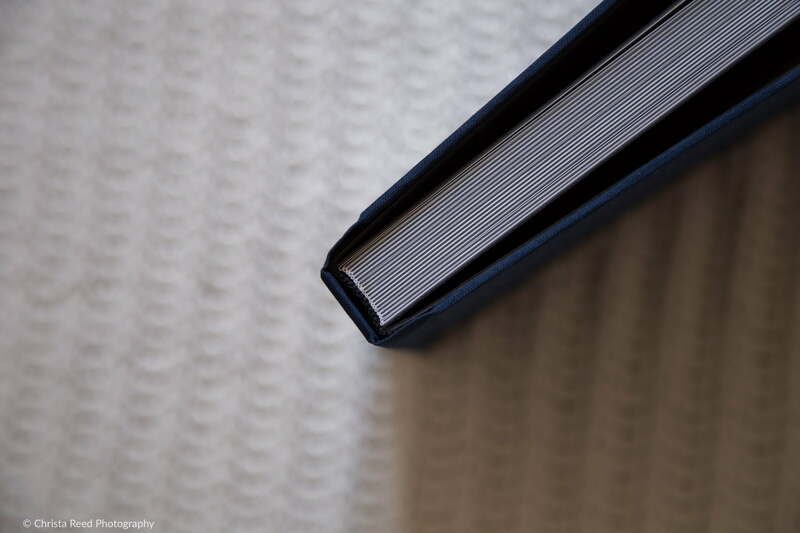 I offer custom designed wedding albums in a variety of sizes, including panoramic, square, and family copies for your loved ones.